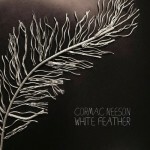 Share the post "Album review: CORMAC NEESON – White Feather"
The solo debut album from the Answer’s vocalist Cormac Neeson has had a bumpy ride as it was one of those caught up in the recent Pledge Music issues, which have scuppered plans for special edition vinyl for the release. Luckily ‘White Feather’ does get to see the light of day, an album that was recorded in Nashville and mastered in Belfast. The Nashville vibe runs deep through the album, with Cormac Neeson not only penning songs with help of top songwriters there, he also called on the services of the top draw musicians available there. The recent single ‘Broken Wing’, was written for and about his son Dabhog, who was born 3 months premature with Down’s Syndrome. It not only raises money for Mencap and awareness, but it is a truly moving lyric written from the heart by a loving father. As Neeson said, “It’s my hope that maybe when people hear this song they can relate to the message or at least give some thought as to what it’s about”. The album’s music is beautifully crafted, be it the country meets gospel of ‘Oh Son’ or the slow building rocker ‘Don’t Wait Up’. On the latter the Hammond, piano and guitars meld into a wondrous melody, with a scorching Hammond solo midway through. The one song on here that recalls the Answer, as Cormac Neeson has done a proper solo album that doesn’t sound much like his band, bar of course his distinctive, soulful singing. Special mention to the pedal steel playing of John Heinrich (Garth Brooks, Shania Twain) which is magical to hear – listen to ‘Sweet Gentle Love’ for proof. Mind you, each musician brings something to the album and the production is spot on, crisp and clear, perfect for headphones and immersing yourself in the music. The album has so many musical treats and styles, mainly country/gospel but there is some Celtic folk on ‘Home To Me’ and plenyty of soulful singing from Cormac Neeson, whose singing gets a whole new life in these gentler paced songs. This entry was posted in ALBUM REVIEWS, ALBUM REVIEWS (Mobile), All Posts and tagged album, Americana, blues, Cormac Neeson, country, folk, gospel, melodic, Nashville, review, rock, singer songwriter, soul, THE ANSWER, White Feather. Bookmark the permalink.